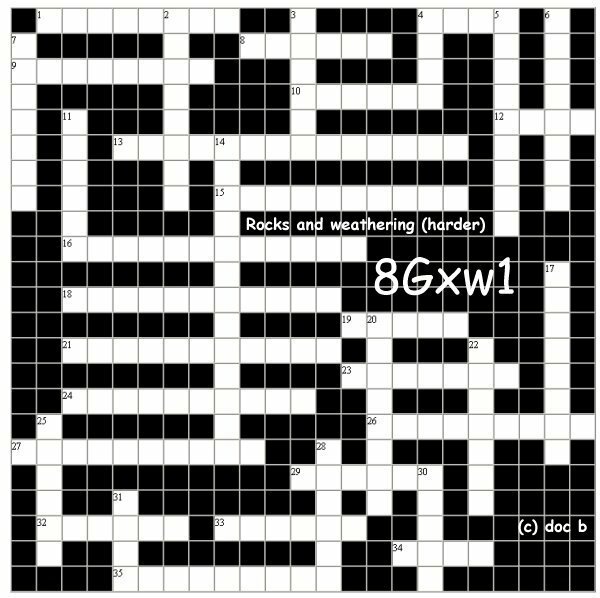 The BIG KS3 Science-Chemistry crossword on "Rocks and weathering"
18 Your (11)? is all around you, hopefully with no pollution! 25 Rocks expand when (6)? 28 Rocks contract when (6)?